Orange and vodka are like made for each other as citrusy flavor of orange juice and a kick of vodka is simply refreshing and delicious. 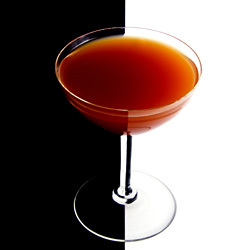 Apart from these two ingredients, this cocktail recipe also uses dry vermouth, cointreau and angostura bitters to make it more tempting. 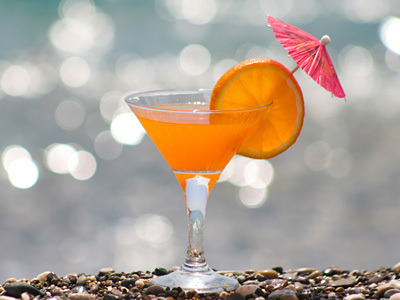 Whether you call it an orange vodka martini or an orange juice martini, it’s delightful in every sip. Add liquid ingredients in a cocktail shaker 2/3 filled with ice. Shake it vigorously until frosted from outside. Strain and pour mixed drink into chilled glass. Garnish with orange wheel and serve. Use citrus flavored vodka for complete citrus taste. To make an all alcohol drink, you can avoid fresh juice. Use chilled glass and chilled ingredients to make best mixed drink. Serving Ideas: It is a cocktail drink that can be served in social get-together as a pre-dinner drink or with starter food.